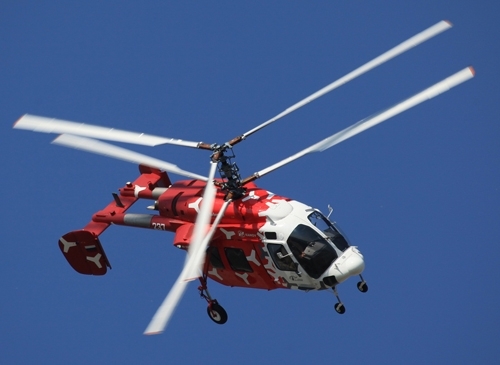 The Ka-226T light helicopter, developed by the holding Russian Helicopters (which is part of the Rostec State Corporation), has become a pilot project on the creation and production of helicopters through information technology. Digital manufacturing will greatly simplify the development of new modifications as well as upgrades and design changes according to the customer’s requirements. All new models and modifications of existing helicopters will be created on the same principle. The Ka-226T has become the first civilian helicopter in construction to have been developed entirely in virtual space without the use of paper media. This will reduce risks and costs in the helicopter’s development as well as to changes for the future upgrades. The developer of the helicopter, JSC “Kamov,” has prepared a full set of design documentation, including digital models of parts and assemblies, as well as 3D models of completed helicopters. At the moment, within the project implementation, the design bureau and serial production at the Ulan-Ude aviation plant received a single information system with an online connection. Thus, the company not only has 24-hour access to the relevant design documents, but it also has the ability to contact the developer to discuss models in relation to the specificity of production. In the future, the single system will allow all project participants to monitor and control the production of helicopters at every stage. “Project Ka-226T is the first experience for holding enterprises to create a new helicopter modification by using only software. The digitalization has reduced the machine development time, and, through the creation of 3D models, has improved accuracy of the component parts and units of the helicopter development. That has helped to create a modern and high-quality machine, cumulative performance and other characteristics [that are] substantially superior to Western counterparts,” said general director of Russian Helicopters Andrey Boginsky. The light utility helicopter has been built on a modular scheme, and it has a wide range of applications. It will become the first helicopter designed and manufactured completely by the holding structures with the help of digital manufacturing. The Ka-226T will be environmentally friendly and efficient. The coaxial scheme with centerline bearing screws and an absence of tail rotor in design does not only increase safety, but it also allows the helicopter to operate in small spaces. The operating temperature range of the Ka-226T varies from -50 C to 50 C (-58 F to 122 F). In addition, the helicopter does not require hangar storage.